Today is an exciting day for us! 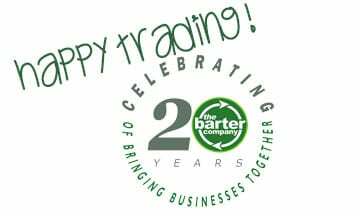 The Barter Company is honored to have been selected as one of Cobb Chamber of Commerce’s Top 25 Small Businesses of the Year. It makes our 20th anniversary year even better! Cobb County is home to some of the fastest-growing small businesses in the region. As a pro-business advocacy organization, the Cobb Chamber is committed to meeting and exceeding the needs of small business owners. Each year, the Chamber celebrates the achievements of small businesses that contribute to the vitality of the community with the announcement of its Top 25 Small Businesses of the Year. The Chamber is proud to honor TBC following businesses as one of its 2016 Top 25 Small Businesses of the Year! To see other nominees and find out more info on the award, click here. An overall winner is selected among the Top 25 and announced at First Monday Breakfast on June 6 at the Cobb Galleria Centre. The top winner is determined by a thorough selection process including applications and site visits by a panel of outside judges. The breakfast will honor the Top 25 Small Businesses of the Year, Businesses to Watch (businesses launched up to three years ago) and the Small Business Hall of Fame inductees. Tickets to the breakfast are $30 online and $45 at the door for members and are $60 for general admission. Click here for more information and event registration.